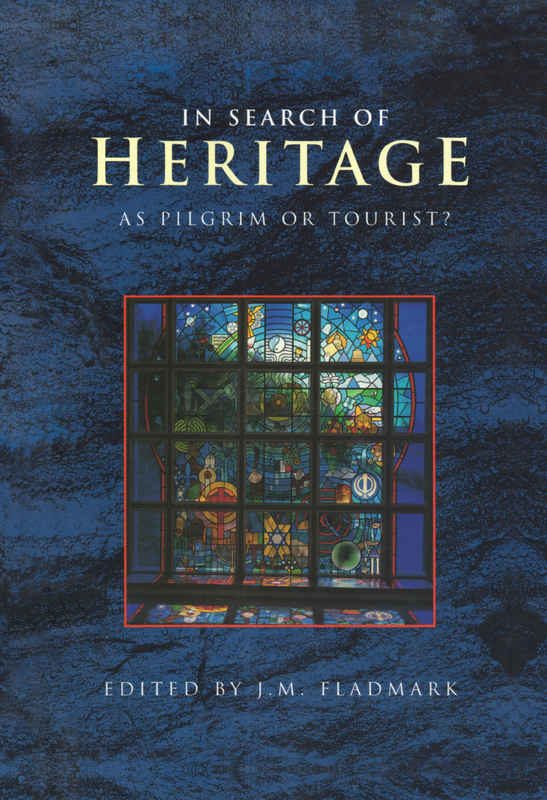 In Search of Heritage as Pilgrim or Tourist? A collection of papers presented at the Robert Gordon University Heritage Convention 1998, on the subject of heritage. Topics covered include: Jamaica's musical heritage; the Aberdeen Maritime Museum; the pilgrimage to Santiago de Compostela; and the spirit and identity of Cracow. How it all started - early routes of merchants and soldiers, Anne Mustoe; in search of holy places - then and now, John Wilkinson; the apostle of Scotland - is it Ninian or Columba?, Ian Bradley; two pilgrim towns - a quest for St Andrew and St Margaret, Jurek Alexander Putter; voices of the cherubim - a musical odyssey to Scotland, John Purser; to Santiago de Compostela - a journey of remembrance, Nicholas Luard; Saint Olav of Norway - reviving pilgrim ways to Trondheim, Mari Kollandsrud; mementos to take home - the ancient trade in souvenirs, Godfrey Evans; from India to Japan - Buddhism then and now, Brian Burke-Gaffney; Japanese pilgrims to the west - their impact since the 16th century, Paul Akira Kadota; from Aberdeen to Nagasaki -Thomas Blake Glover in Japan, Alexander McKay; the arts and identity - from pilgrimage to grand tour, Duncan Macmillan; heraldry and identity - from knights to corporate branding, Gordon Casely; language and identity - modern sources of written Scots, William Donaldson; action in a language war - how the Kist/A' Chiste was won, Robbie Robertson; cultural capital and identity -Scotland's democratic intellect, Magnus Fladmark; food in folk tradition - how Scotland celebrates the seasons, Catherine Brown; the meeting of cultures - el pueblo de los Angeles, Jean Bruce Poole; religious life and art - St Mungo Museum in Glasgow, Harry Dunlop; a museum challenge - the iconography of New Zealand, William Tramposch; a regimental shrine - the Gordon Higlanders Museum, Stuart Allen; a city harvesting the sea - Aberdeen Maritime Museum, John Edwards; South Indian folk heritage -breaking new ground at Dakshinachitra, Deborah Thiagarajan; African heritage - the assets of Sierra Leone, Arthur Abraham; echoes of Africa - Jamaica's musical heritage, Olive Lewin; making minor places - dilemmas in modern tourism, Dean MacCannell; serial soap addiction - from screen viewing to pilgrimage, Patricia Sterry; in search of brand identity - the makers of Wales campaign, John Carr; the image of Alsace - trials for imbibing tourists, Dragan Crnjanski; historic Norway - identity and issues in heritage policy, Hild Sorby; Poland in transition - the spirit and identity of Cracow, Jacek Purchla; Sir Patrick Geddes -pilgrimage and place, Murdo Macdonald; new pilgrims old towns -the historic burghs of Scotland, David Cameron; Scottish mercat croces - their spiritual and secular significance, Lindsey Thomson and Dennis Urquhart; reading the city - approach and orientation, Brian Evans.